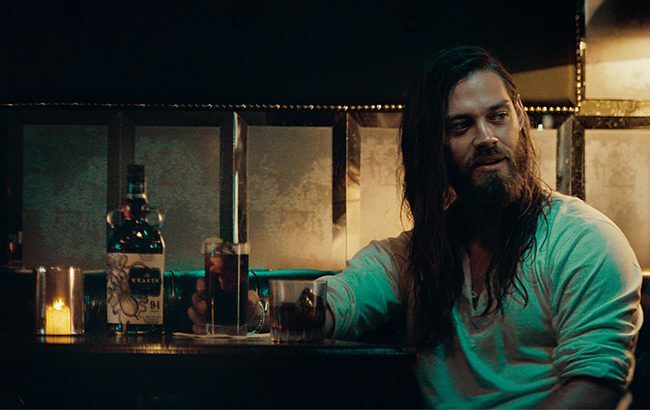 The Kraken Black Spiced Rum has launched a new campaign to celebrate “epic storytelling” starring The Walking Dead actor Tom Payne. The 30-second television spot features an encounter with the titular creature – a mythical giant squid-like sea monster – which is recounted in “tavern tall-tale glory” by Payne. The ad “capitalises on the cultural appetite for epic storytelling” and is targeted at the brand’s audience of comic book, video game, sci-fi, fantasy, and superhero fans. The scene opens in a dimly lit bar, with the audience transported into a weathered, shadowy atmosphere reminiscent of old maritime haunts. The campaign will also include tastings and fan appreciation activities at live gatherings such as Big Adventure Music Festival and Turner E-League competitions. “Since we first introduced The Kraken Rum years ago, the dark mystery of the character – and the rum – struck a particular chord with passionate fans of sci-fi and fantasy. That sets a high bar, because we’re in a golden age of storytelling and this audience has unfettered access to fantastic, cinematic stories in comics, on TV, at the movies, and on their video game consoles,” said Michelle Yukhtman, senior brand manager for The Kraken Rum at Proximo Spirits. The ad will run from 20 August until 31 October.